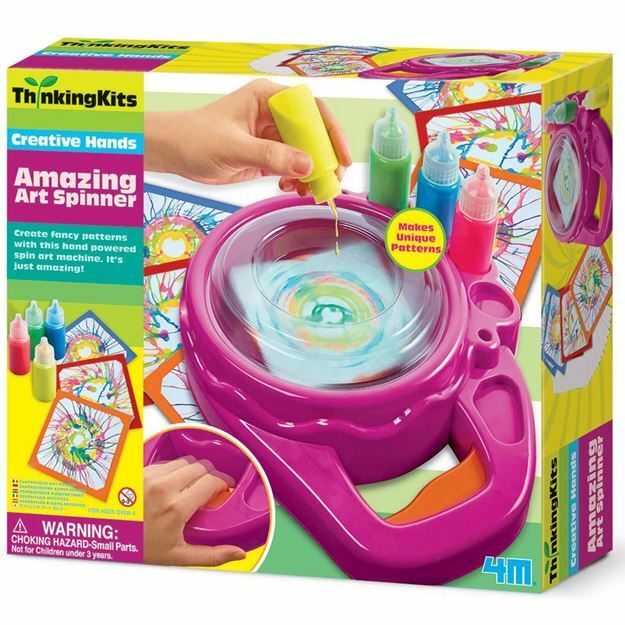 Create fancy patterns with this hand powered spin art machine. It's just amazing! Makes unique patterns. Helps with fine motor skills, colour mixing, visuomotor skills and creativity. Contents: a spin art machine (28 x 22 x 7cm), a splash shield, 4 tubes of paint, 6 coloured cards for mounting, 20 white cards and detailed instructions. Age 4+ years. Part of the Thinking Kits Creative Hands range. Distributed in New Zealand by Holdson.